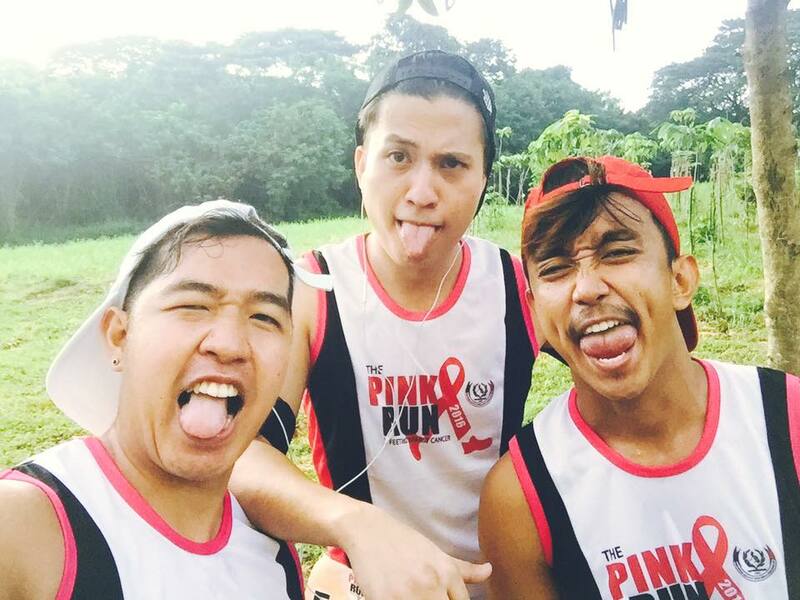 They say that real and tough men wear pink! Well, we did during the recently concluded The Pink Run 2016, a charity running event in d'feeting the breast cancer! 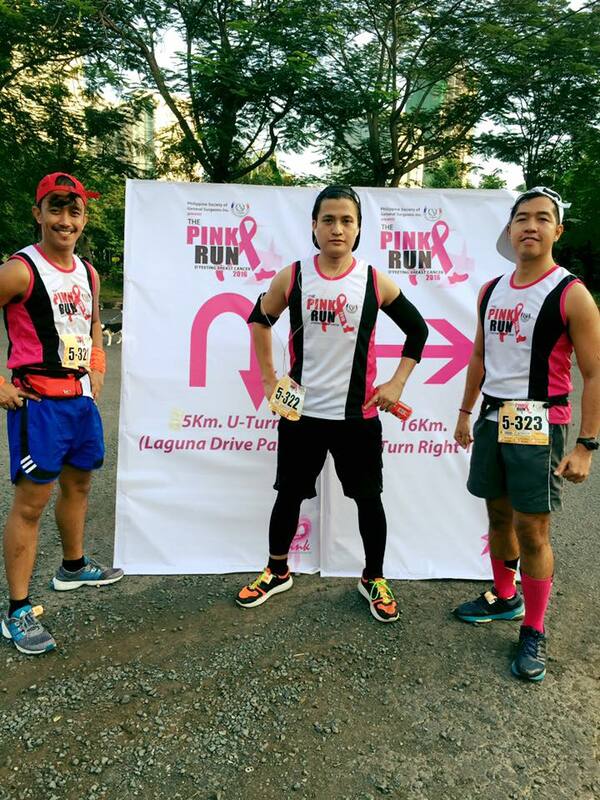 Three of the members of my very own Team Runner Rocky or the Team Runner Rocky Trio dare to wear pink in support for the fight against breast cancer, one of the leading causes of women's death in the country. We had completed 5K in this race which took place in Filinvest City, Alabang, October 30, 2016. We truly had lots of fun on the road - more bonding moments, kulitan, live video coverage on the road, and unlimited selfies with different wacky poses! 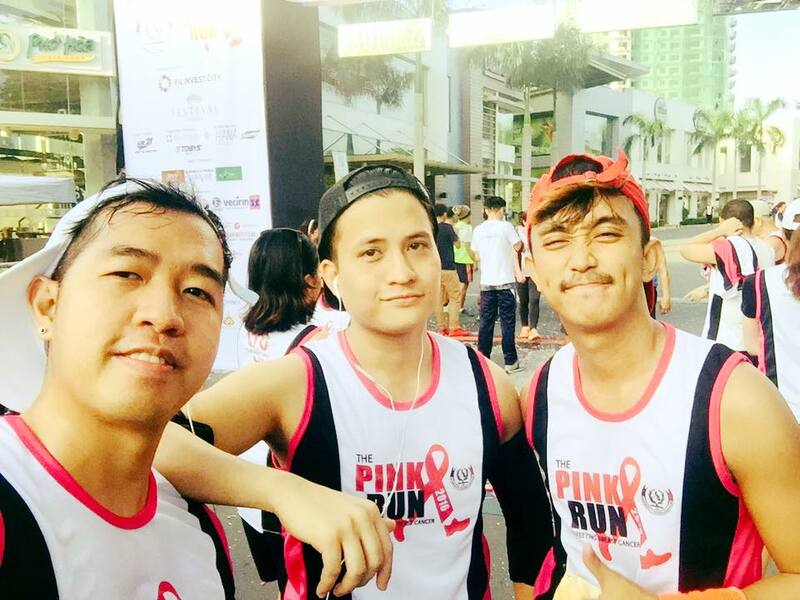 Yes, that was indeed a very fun fun run we ever had! We even throw hugot and pickup lines with one another making the whole race a no dull moment! When They Say "Labas Dila!" 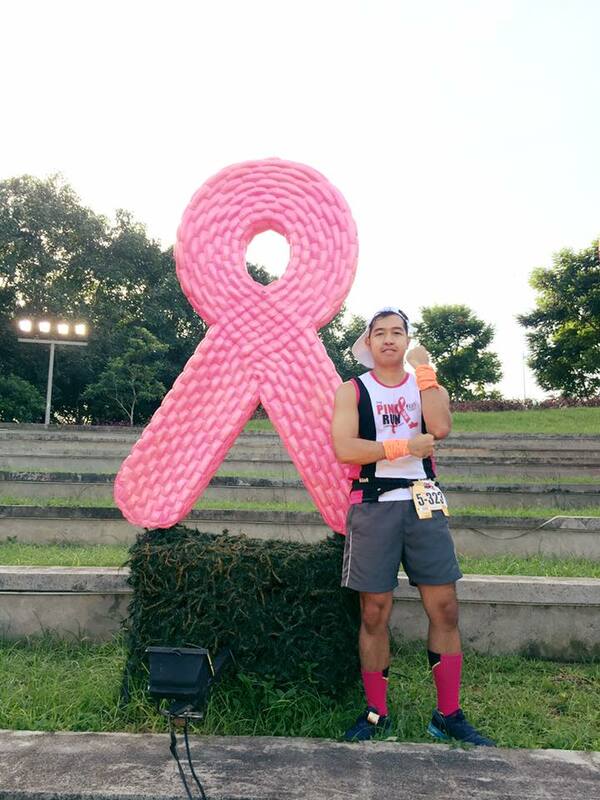 The place itself also joined hands in fighting the breast cancer. In the eco park of the commercial place in Filinvest Alabang, you will see huge pink ribbon, a big pink heart, and a bold Go Pink phrase showing their support! 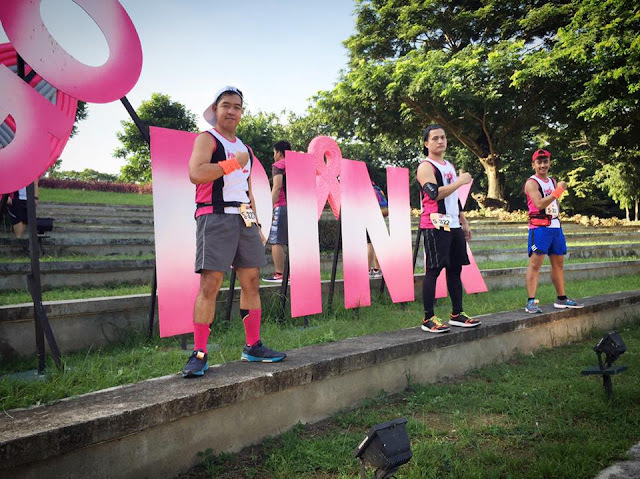 And take note, even though there is no finisher shirt nor medal for all the categories, more runners still ran on this event proving that this was truly a huge success! 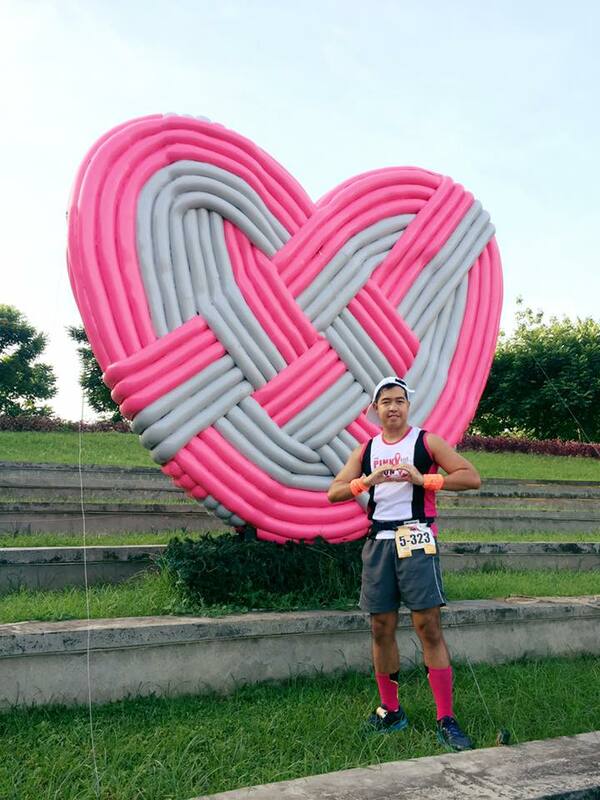 Who Among You Have the Pink Heart?! 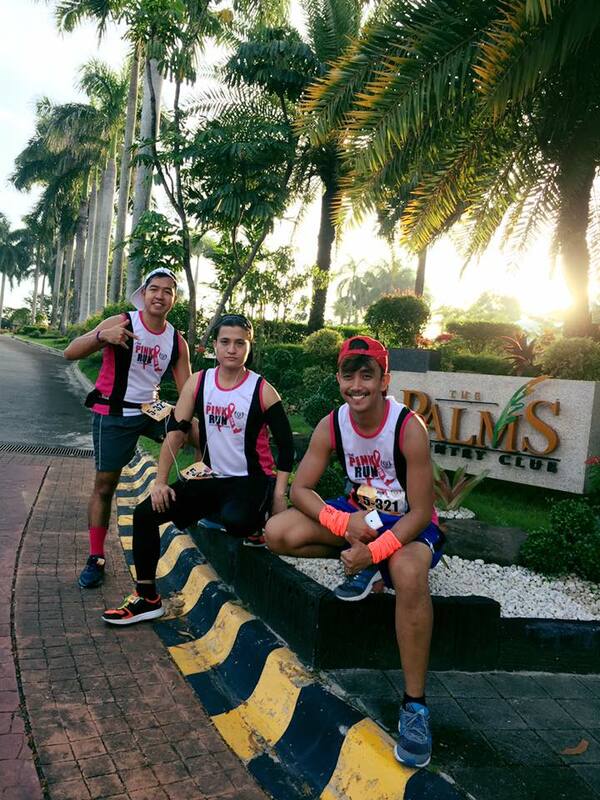 Ok if the three of us (yours truly, Julius Ceasar Aquebay, and Jumar Villanueva) had fun running on the road, our fourth member Mark Pizarra ran 16K at the same time took photos (with his little sister) capturing the great moments of the runners on the event.